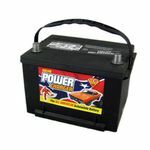 Fuller range of American Car Batteries. Available to buy online or in shops at Kirkby-in-Ashfield, Nuthall and Ilkeston. FULLER CHRYSLER GRAND VOYAGER, FULLER INTIMIDATOR AMERICAN CAR BATTERY and many more available to buy.